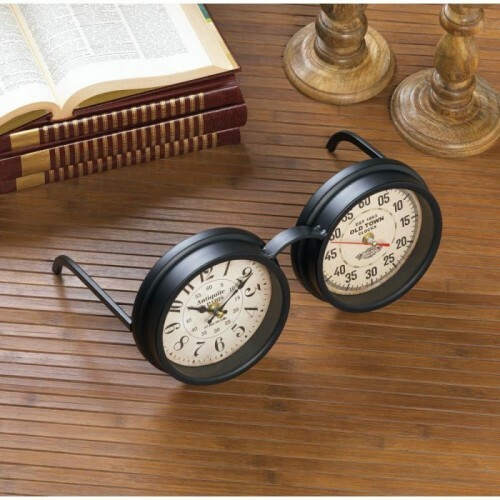 Telling time has never been more charming or fun than with this iron tabletop clock. It looks like a pair of old spectacles, and one side has a standard clock while the other keeps track of the seconds. 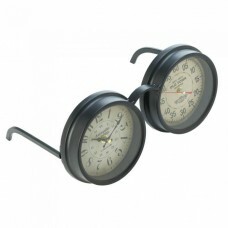 We dare you not to smile each time you look to this clock on your desk, mantel or table! 12.4" x 8.25" x 6"